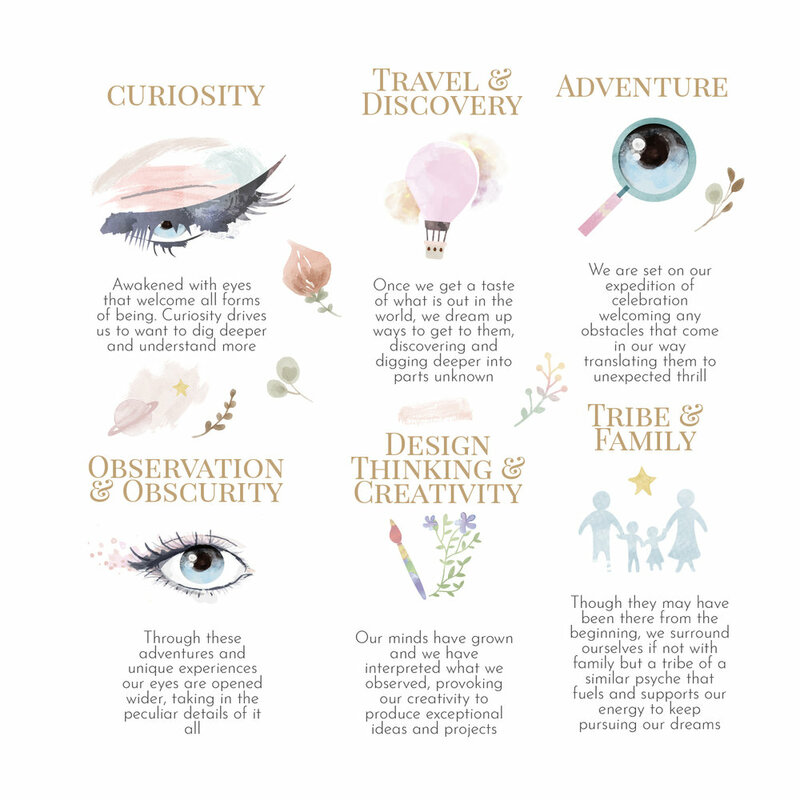 Curiosity, travel and discovery, adventure, observation and obscurity, design thinking and creativity, tribe and family. These are our milestones, our being and what we are to become. Constantly evolving to be the best we can be.